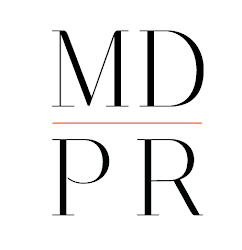 Public relations is a mixture of social media, marketing, event planning and so much more. With social media being such a huge part of day to day life, I wanted to share some helpful Twitter tips that won’t only make managing your personal account easier, but tips that will work wonders in dealing with managing your clients’ accounts, especially when staying on top of search terms and hashtags can seem like a full-time job! Click to Tweet: This twitter tool provides the press and media with content and also encourages them to tweet about your story quickly while maintaining your preferred message. All you have to do is go to the site, compose the tweet and then embed the link in the press release or pitch. How easy could it get! Mobile Alerts: One of the best features to Twitter is the mobile alert. You are able to set up alerts that will be sent directly to your phone via text message for any brand or person you follow. To set up Twitter alerts, go onto the Twitter feed for the person/brand you would like alerts from, click on the little icon of the person’s head and the last option in the dropdown menu is “turn on mobile notifications.” Once you set up the first one with your phone number and the times you want to receive the texts, the rest are just a click of a button! Twilert: This website is super helpful because it is basically like Google Alerts for Twitter! You can set up any search term or hashtag and you’ll get a daily email with all the tweets containing that search item. This tool is really great if you’re keeping tabs on your clients because any news tweeted about them is sent directly to you! Tweet Reach: This tool is a great reporting system for tweets. You choose any hashtag or link that you want to track and you are quickly able to pull a Tweet Reach report to measure the number of tweets, their reach and other cool stats. It even includes pie charts and a printable PDF that you can send to your clients. Tchat: This tool is for those who participate in Twitter chats. If you’ve ever been a part of one, you know how confusing and annoying it is to constantly refresh the tweets with the desired hashtag. Well Tchat is the saving grace to chats on Twitter. The site allows you to input the conversation hashtag and then easily follow the chat by logging in; if you want to chime in, all you do is compose the tweet and the hashtag is already attached! Brilliant. Try out some of these Twitter tricks and I promise, tracking, researching and tweeting will become a million times easier. Do you have any other tools that might make social media easier to manage? Let us know by leaving a comment or by tweeting us at @MonikaDixonPR!